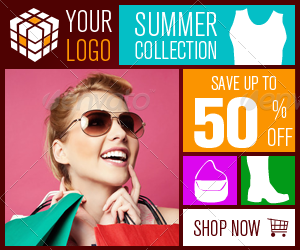 Online Store Banner ad Design with Metro Style. 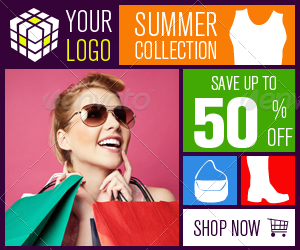 For online marketing, sales promotion, hot deal, summer festival, and any purpose of your campaign. You can replace image object from PSD files with your product if you want. Three Color Scheme Available and Unlimited Color Scheme with Hue/Saturation Effect that you can edit from PSD files easily. 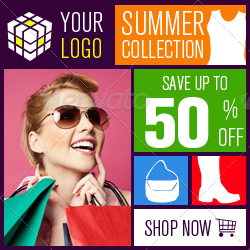 Stock Photo of Woman shopping not included.